E3 this year was a unique blend of new IP’s and the return of some old fan favorites. So now that we’ve all had plenty of time to digest the convention, and get our plans set for this fall’s release schedule, I thought a lot about other franchises that I feel really need a new entry as soon as possible. Some actually were answered at E3 – Battlefront, Star Fox and Mario Party – all come to mind. For my purposes here, I’m defining a franchise as a series with at least two entries already – so no Beyond Good and Evil or Dishonored, as much as I think they deserve them. I also am excluding franchises that are still being supported relatively well – The Elder Scrolls, Fallout – both had games come out recently, or have one in development. So let’s dive in, shall we? This is probably the most cop-out answer I have on the list, but that’s just because I’m a huge fan of the whole universe of Mega Man. 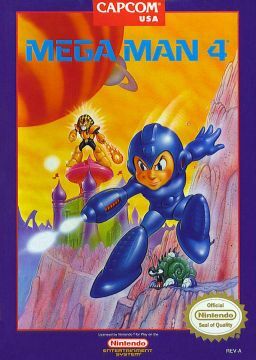 The last new Mega Man game was technically the free Street Fighter X Mega Man from 2012, but before that it was Mega Man 10 way back in 2010. It’s a franchise that has a lot of options for expansion – l think the audience is there for pretty much every one of the different sub-franchises, in particular, the X series. It was a huge deal when Capcom cancelled Mega Man Legends 3 last year. I really think that Capcom just has to look at the response that Mega Man got with his introduction in Super Smash Bros. to see that the Blue Bomber still has a really strong fanbase – yours truly included. 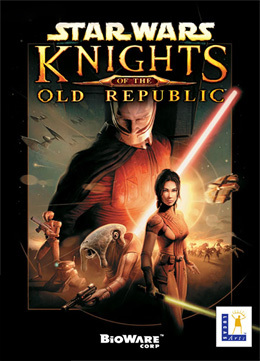 I’m not talking about the MMO that came out a couple years back – I want a proper Knights of the Old Republic 3, developed by BioWare. The last entry was way back in 2004, ten years ago, which in this day and age might as well be ancient history. While I am certain that the market for a new KOTOR game is there in spades, I just think the timing doesn’t look good for one anytime soon. BioWare has Dragon Age: Inquisition this fall, and a new Mass Effect in development along with a new mystery IP, so any chance of a new KOTOR is slim at this point. Maybe in a couple years. Here’s one that newer games might scratch their heads at a bit. 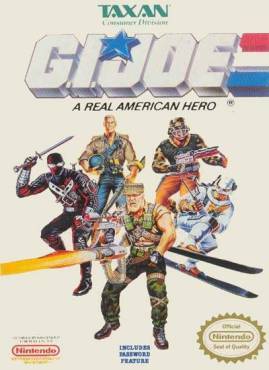 I’m not talking about games based around the movies from the last few years, I want a new game based around the 80’s G.I. Joe: A Real American Hero cartoon that a lot of us grew up on. I think that the universe is tailor made for a great game, it just needs the right studio. I was thinking someone like High Moon Studios, after their success with the Transformers: War for Cybertron/Fall of Cybertron games. And before anyone thinks this is a BS entry, there were two games (G.I. Joe and G.I. Joe: The Atlantis Factor) way back on the NES in 1991 and 92 respectively. While the main Final Fantasy series is getting some much needed love in the next couple years, the Tactics sub-series hasn’t seen a new game since 2008. 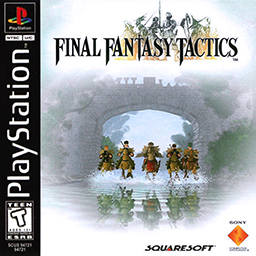 While it’s a major shift in style from the standard JRPG Original series, I think with the success of the 3DS, the platform for a new Tactical RPG style FF game is definitely there. I think the audience is there – Tactics is one of those “cult” classics that is well loved, but never really got the commercial success it deserved. Plus the success of this could convince Nintendo to get on a new Advance Wars game finally too. Maybe a little bit of a cop-out, but it’s been four years since we saw Rock Band 3’s release, plus it’s been over a year since the weekly DLC was stopped. The issue is that Harmonix is hard at work on multiple projects – Fantasia, Dance Central, Amplitude – and I just think we have to keep waiting a little bit longer. Maybe once the new gen consoles have a bigger instal base the demand will be there. Luckily, this is a series that never loses fun, so I can still hop on RB3 and enjoy it like day one. I really hope that Nintendo feels that they’ve put enough distance between them and Other M to start working on a new Metroid game soon. I know that the desire is there from the fans – Kotaku recently had an article answering Miyamoto’s question as to what we wanted, and Metroid was the number one answer – we just need Nintendo to listen now. I think fans would be more than happy to take a new 2D, Super Metroid style game, or a new Metroid Prime game as well. Plus with the whole industry finally taking gender seriously and trying to have more strong female heroes, Samus stands out as being the OG (Other M excluded of course). I think this is a question of when, not if. It’s become a bit of a joke on the web, but honestly, it’s a fantastic series that I think would totally benefit from a new game. The original is still one of the hardest games I’ve ever played, and the spin-off with Double Dragon remains one of my favorite games from that era. It’s also been dormant for a long time – with the last home console game in 1994. 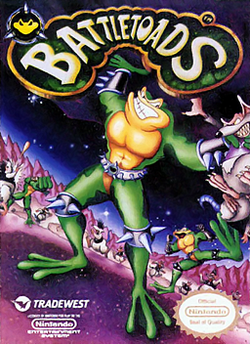 That said, there’s a lot of fan support for the game, and RARE is well aware of it, adding in a Battletoads suit for Kinect Sports Rivals, which of course just fuels rumors. I think an ideal plan would be to release on the Xbox Live Arcade the previous games in a bundle to help introduce younger gamers, then work on a new Xbox One game, similar to the new Strider game. 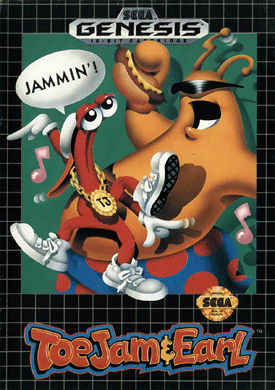 Another classic from that mid-early 90’s era of gaming, the two Toejam and Earl games that I think of came out in 1991 and 1993 respectively. They’re both great examples of how a game can be wacky and out-there and still be a lot of fun and, most importantly, sell well. I know there was a third game released on the Original Xbox in 2002, but it just didn’t have quite the same feeling to it as the originals did. With the resurgence of “old-school” style visuals all the rage now in games, I think the timing is great to do an Arcade release of a new game. 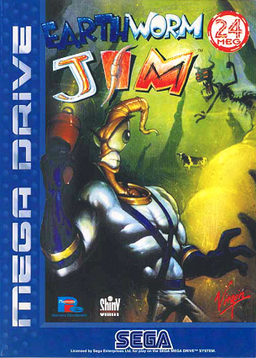 Sticking with the classics from the SNES/Genesis era that I loved growing up, Earthworm Jim might be my favorite of the bunch. The whole vibe of the game was like Ninja Turtles on crack, taking nothing too serious – a goldfish as a boss that you just tip over?! – while still delivering awesome gameplay, it struck a chord with me as a young gamer, and as stuck with me over the years. The HD remake on the XBLA a few years back was a welcome addition, but what I really want is a true sequel to the series – again, the time is perfect; games like this, that are self-aware, while still solid games are “in” now. Plus the TV show was freaking awesome. 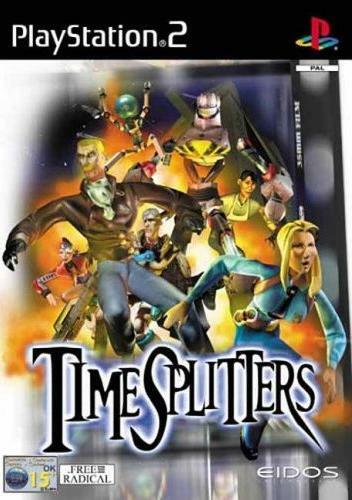 There’s no series from the PS2 that I want to see brought back more than the Timesplitters, and it kills me, because when Free Radical closed, they were working on Timesplitters 4 and it just got swept up in the dust. The sad thing is that it’s a series that is well-loved, but misunderstood by the suits. After Crytek bought Free Radical, I think there was hesitation to put out a game that’s so far from their norm – no one could call the TS games serious shooters at all. While there’s been some rumblings of a fan-made Timesplitters 4 in the works, I really want to see Crytek take a chance and run with this, or sell the rights to a studio that can do it right; Insomniac Games jumps to my mind as a studio that could definitely do the series justice. I just think that it’s too fun a series to let waste away as a remnant of that generation. That’s my list – and I know right away that I missed a few, especially big ones like Half-Life or Left 4 Dead, mainly because they’re so well-documented. I wanted to hit the ones that maybe get passed over these days. Do I think we’ll see these games – I never say never, this is probably the best time to be a gamer, especially one that loves the classic games of yesterday. Who knows – maybe by this time next year we’ll have some answers.